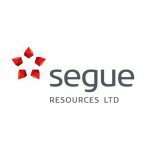 With an ever increasing focus on lithium as the ‘metal of the moment’, Segue Resources (ASX:SEG) has just taken a position over strategic WA lithium exploration tenements. In a two deal move, an option agreement and Joint Venture together give SEG an interest in over 400km 2 of exploration licenses in the Gascoyne region – making it the largest explorer in this potential lithium province. SEG have walk up lithium drill targets in sight, and the news flow should come thick and fast over the coming weeks, as the company gears up to drill. With $350k due to come in via an R&D tax rebate, SEG should be funded for the first phase of its lithium exploration. In a handy bonus, SEG’s neighbours are both exploring for lithium either side of SEG, so any positive finds could contribute to the potential value of SEG’s land holding. Remember, however, that this is still an early stage play and investment caution is advised if you are considering this stock for your portfolio. The recent moves into lithium will have shareholders feeling somewhat vindicated after holding on through the nickel downturn, and SEG will work hard to prove up its lithium play while trying to advance in the best way possible its existing Fraser Range nickel projects. Given the intense focus on lithium stocks right now, it appears SEG has chosen its new project wisely. So as the world rushes to identify big lithium resources in preparation for the surge in demand driven by electric cars, SEG is hoping it can be an early mover in this potential new lithium province. Previous exploration hints at what may be possible, and walk up drill targets certainly help its cause. In essence SEG has acquired a low-cost option over three highly prospective tenements, and entered a JV for another, in an emerging tantalum-lithium region of Western Australia. There’s not much more that we can write about lithium that we haven’t said before. You should all know the Tesla story and we can report that Elon Musk is still making huge waves. A recent article published by news site finfeed.com goes part of the way of explaining why . 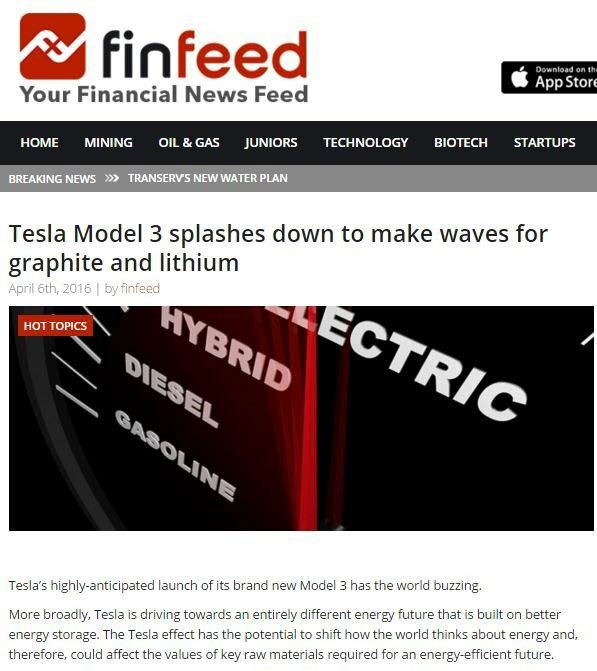 Now we know there is a reliance on graphite and lithium to run these cars and Tesla has much grander plans for its batteries as well, so it is not surprising that there has been a glut of companies trying their luck in the lithium field. Which brings us to SEG’s entrance into the Gascoyne region of Western Australia. SEG has put together two deals which essentially see it take a position in over 400 km 2 of lithium tenements. Firstly, the company struck an option deal with a company called Next Advancements (the light red tenements shown below. And this was quickly followed by a Joint Venture agreement struck with Zeus Resources (dark red on the map below). As you can see by the map below, SEG’s new ground is surrounded by both Venus Metals (ASX:VMC) and Litihium Australia (ASX:LIT) . We mentioned LIT, who is further diversifying its operations but there is also Venus Metals to consider, who has been motoring along well recently. SEG and Zeus (ASX:ZEU) have joined forces to create a league that could be bigger than the one Batman vs Superman is trying to start. Location was a major factor in SEG’s decision and there is a great deal of prospectivity related to its neighbours. However, the prospectivity is yet to be proven so don’t base your investment decision on this fact alone and seek professional advice. From location, we move onto resource potential and SEG thinks the potential of the area could be realised sooner rather than later. SEG will test the Yinnietharra and Pyramid Hill – Wabi Creek pegmatite fields of the Gascoyne Complex for their potential to hold mineralisation. If SEG can identify strong mineralisation that could lead to a lithium resource, this could be a catalyst for a potential re-rate. Through this field work, SEG will seek to identify pegmatites which are more fractioned and have the potential to host tantalum-lithium deposits. A positive in this field is the previous history. Since the 1800s, the pegmatites here have been on several explorers’ radars. These pegmatites have been found to contain mica, beryl, tantalum and niobium. The pegmatites SEG is testing appear to be part of the LCT class of pegmatite. That’s a high class pegmatite which displays distinct zonation from barren to lithium bearing from their granitic source. SEG will map and sample the pegmatites to develop a zonation map to help find exactly where the lithium bearing pegmatites are. The northern-most tenement, EO9/2169 is adjacent to the April Pegmatite which has been historically logged as containing lithium. In short, the April Pegmatite sits within SEG’s potential lithium target zone. 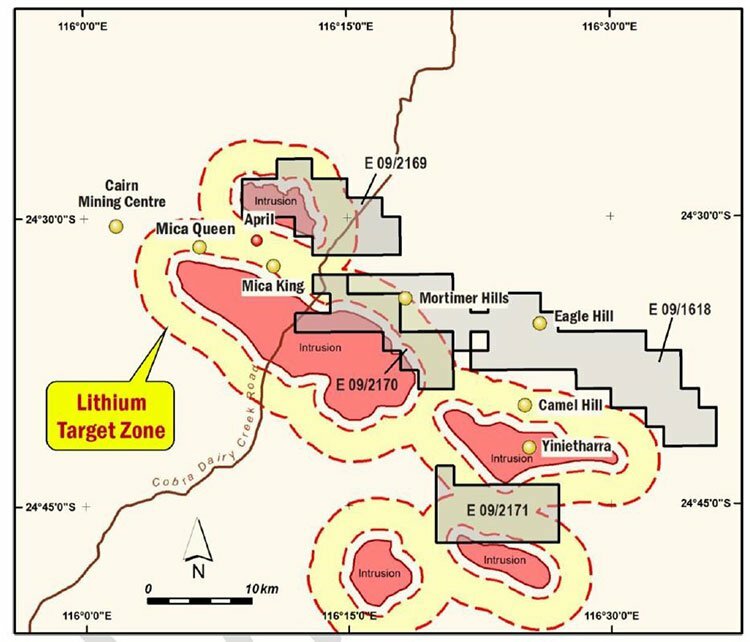 Notice how close the lithium target zone is to the Mica King and Morrissey Hill zones. Here’s a little bit of history relating to Mica and Morrissey as explained by mindat.org . The pegmatite was first observed by H.C. Stokes in 1918, and was visited by R.C. Wilson in 1922, both describing beryl either here or at the nearby Mica East pegmatite. We know mining was taking place in 1922, by a Mr Whitlock and Mr Spaven, who drilled and blasted a 32 metre long by 2.0-2.5 metre deep trench/open cut. Wilson viewed the mining methods employed as unprofessional, damaging and making the mica unusable. In 1926, the lease was held by the Australian Prospecting and Development Syndicate, and on-site manager, a Mr Coggan, deepened the open cut to 7.6 metres, and produced 3.25 tonnes of mica, before the syndicate filed for bankruptcy later the same year. Gaps exist in the literature due to the remote nature of the location. It was next reported being mined by a Mr Spargo in 1940, who sunk a shaft at the western end of the open cut. Blasting for mica was also occurring at a cross-cut 6 metres south of the open cut, and again the observer (Ellis 1941b) stated it was being mined like a quartz-gold reef, damaging the mica. No further reports of mining could be found after this date. As stated earlier, there is a fair bit of history, with high prospectivity – another reason SEG jumped at the opportunity to expand its horizons. The final factor in SEG’s decision to jump into lithium was the nature of the deal struck with Next Advancements. The first part of the deal was the option fee. With minimal cash down, just $25,000, and an equal split in shares (at an issue price of just 0.1 cents per share), there was really nothing to stop SEG from dipping its toe in the lithium waters. From there SEG can acquire 100% of the Company through the issue of $100,000 in SEG shares – again at an issue price of 0.1 cents per share following the granting of two exploration licenses. When you look at the long term play and the broader lithium market, the outlay is peanuts. The issue price of the shares will be the 10-day VWAP immediately prior to the resource announcement. 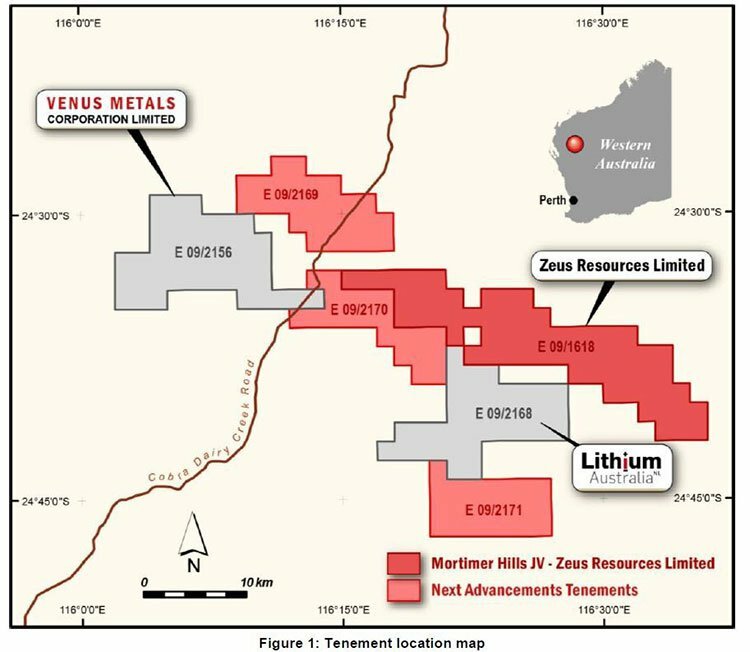 To shore up its lithium play further, SEG just increased its exploration tenement holding in the Gascoyne region by entering into a farm-in JV with Zeus, right next door to the Next Advancement tenements. The terms of the deal include $30,000 to be spent by SEG on exploration before 15 May 2016 – so SEG will be moving fast over the coming weeks to execute this plan. Once initial exploration is complete, SEG can earn a 35% interest in the JV by spending $125,000 within 12 months. This will be the stage 1 farm-in. As we mentioned earlier, SEG are due to receive $325,000 as part of an R&D tax rebate, so should be funded for this exploration. Importantly, for both SEG and ZEU’s bank balances, if interest in the JV dilutes to below 10%, then that interest will convert to just a 1% NSR royalty. The Mortimer Hill JV covers granted exploration license E09/1618. Not only is E09/1618 along strike to the three tenements SEG recently acquired, it is slap bang in the middle of both LIT’s and VMC’s plays. SEG is playing a smart game here, positioning itself to take benefit from the spoils of its neighbours, should exploration turn into full blown discovery and production. The JV sees SEG immediately undertake a maiden exploration programme at Mortimer Hill, in conjunction with the existing exploration work it is already undertaking elsewhere in Gascoyne. The Mortimer Hill JV tenement, contains the Mortimer Hill and Camel Hill pegmatite fields. The exploration programme within these fields has been designed to test for lithium potential. SEG will start its field work and surface sampling in the coming days. It is looking for pegmatites which are more fractioned, with the potential to host tantalum lithium deposits. Beryl and other mineral occurrences have already been discovered at Camel Hill and in 2001 exploration for tantalum found evidence of fractionation zonation. Fractionation is a separation process in which a certain quantity of a mixture (gas, solid, liquid, enzymes, suspension or isotope) is divided during a phase transition into a smaller number of quantities (fractions) in which the composition varies according to the gradient. You can read more about it here: an explanation of fractionation . This is big news for SEG as the addition of E09/1618 gives it an interest in over 400km 2 of exploration licenses in the Gascoyne region and makes it the largest explorer in this potential lithium province. Further to this, and importantly in the big scheme of things, E09/1618 is the only granted licence currently being explored for lithium minerals. Now, with the tenement displaying an abundance of outcropping pegmatites, drill targets could be on the horizon following the field programme. Now, let’s go back and re-visit SEG’s nickel project. We first wrote about SEG in the 2014 article Sirius went from 5c to $5... New Upstart Explorer Has More Land, More Drilling Targets and tracked them all the way to last year’s $1.6BN Major Farms into Fraser Range Nickel Province . We know nickel is in a downturn, but SEG’s JV with MMG and its farm-in deal at the Plumridge Nickel Project could prove beneficial for SEG. As a leading diversified base metals company worth over a billion dollars, the MMG deal was a big one. MMG had agreed to spend $14M for which it would take a 70% stake in 8 of SEG’s tenements. The deal gave SEG the financial muscle to quicken its near term exploration activity, guided by MMG’s exploration team. Now we have come to the point where MMG has completed a high resolution in-fill gravity survey over four tenements within the Plumridge JV. The survey consisted of over 6000 stations on a 400m x 200m grid, to increase the gravity data coverage from 1600 to 100m (completed by SEG last year). The newly acquired information provided a significant increase in data. What this means is that MMG looks to be on track to achieve its acquisition targets. Under the Plumridge JV, MMG will earn an initial 51% interest in eight exploration licenses at the Plumridge Nickel Project by investing $6.5 million in exploration activity by December 2019. This is stage one of the plan. MMG can increase its interest to 70% by investing an additional $7.5 million within two years of completing stage one. The thing is, MMG has been working furiously to meet this aim because spend is based on results. And it has had good results early on. So good in fact, that MMG have already started Phase 2 of the high resolution gravity survey. There are over 10,500 stations still to be completed on a 400m x 200m grid over the remaining Plumridge area, but MMG have dedicated four crews operating in this JV to hasten the process and complete the task within the month. Once that is done, approximately 80% of the Plumridge JV tenement package will be covered with high resolution gravity data and the remaining 20% with 1600m line spaced gravity data. 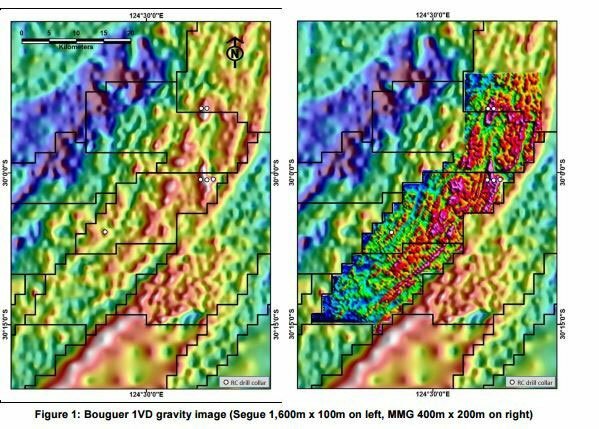 MMG will merge new data with old, as well as magnetic, drilling and chemical data to identify Ni-Cu sulphide bearing mafic-ultramafic intrusions. It will then take the highest ranked anomalies and begin a ground EM to test for conductive response. This is expected to be completed by June/July this year. So as you can see MMG is moving quickly. And its ability to take a bigger stake in the Plumridge JV quicker than previously thought, prompted SEG to look at other ventures that could improve shareholder returns. Which brings us back to lithium. SEG is a now a multi-commodity player. It not only has one of the largest nickel exploration projects in the Fraser Range, which is currently being explored by MMG, SEG’s very canny option acquisition and smart JV, now also make it the largest lithium tenement holder in an emerging lithium region of Western Australia. At the same time, this is early stage minerals exploration – and there is no guarantee SEG will be able to successfully identify what it is looking for – this is a speculative mining stock. With nickel JV partner MMG rushing to meet its targets, so that it can acquire a larger interest in SEG’s nickel play, SEG has looked to diversify – and it has picked a hot industry in which to dip its toe. The option to acquire Next Advancements coupled with the JV with Zeus, also places SEG’s interests adjacent to established lithium explorers, Venus Metals and Lithium Australia. Both the option and farm-in have been conducted at low cost, meaning nearly all the available cash can be spent on exploration. Note that SEG will shortly receive $350,000 from an R&D tax rebate, which should be sufficient to fund the first phase of lithium exploration. SEG’s entry into lithium exploration complements its nickel play and is being done without significant dilution to shareholders. In fact, the company has put itself and its shareholders in a strong position moving forward as it hopes to reap the benefits of its nickel farm-in with MMG and looks to fast track its lithium play.